The tactical planning schedule was delayed by 2 hours today so that we would have the latest data from Sol 1977 available for planning. When the data arrived, it quickly became clear that the feed-extended drilling did not complete as planned. However, the new drilling technique was partly successful, producing tailings from up to 1 cm below the surface. So we had to quickly react to this situation, and the Sol 1978 plan is focused on measuring the composition of the fresh drill tailings. This made for an interesting day for me as SOWG Chair! First, Mastcam will measure dust in the atmosphere by looking at the Sun and the crater rim in the distance. 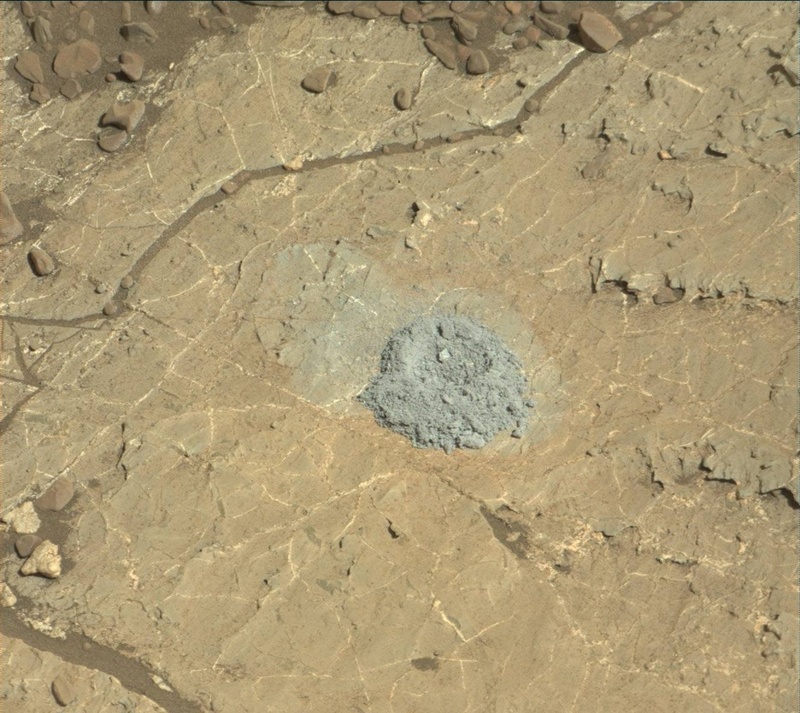 Then Mastcam will acquire a multispectral set of images of the tailings. We don't want to risk disturbing the tailings pile by shooting ChemCam's laser at it, so ChemCam will take passive spectral of the pile instead. ChemCam and Right Mastcam will also observe soil target "Lock Snizort," bright veins at "Melby," and bedrock at "Uig HIlls." After a short nap, the arm will go to work on the drill tailings, taking MAHLI images from 25 and 5 cm above the pile, then placing the APXS for an overnight integration. Finally, the rover will sleep while the operations team decides what to do next.